How to Move Heavy Equipment? Whether it comes to a new or used piece of equipment, each of them is valuable. The price for such machines is indeed very impressive, especially if you additionally buy any special accessories. Another important thing about heavy equipment is that its weight is usually far too heavy to be moved by regular moving companies. Hence the question: how to move heavy equipment so that everything arrives intact and on time? 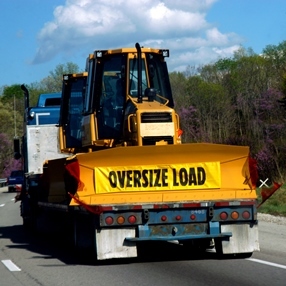 It goes without saying that if you do not know how to move heavy equipment, you need to ask professional shipping and freight companies to help. However, what you might not know about moving heavy equipment is that you can hire experienced art shipping companies for this job. Why? The fact is that if a company has all the required resources and knowledge to ship fine art of any size, weight, shape, and value, it can also ship heavy equipment. For example, at Fine Art Shippers, we know how to move heavy equipment both nationally and internationally, which allows us to offer comprehensive heavy equipment transport services to businesses and individuals from around the United States. From huge outdoor sculptures and the entire museum exhibitions to various vehicles and office equipment, our team of international freight shippers comes across lots of large and heavy objects almost every day. All these items pose a number of specific logistical problems, and their safety in transit is always a key concern. So how to move heavy equipment safely? flat beds and special moving trucks for long-distance transportation of machinery. This list is certainly not exhaustive as every transported item has its own specifications and moving requirements. At Fine Art Shippers, we know how to move heavy equipment of any type, so whatever your local or international shipping needs, please feel free to contact our team. We will offer the safest and most cost-effective solution to your problem!